STAMP ’EM OUT: Efforts are underway to stop breeding cane toads colonies in Coffs Harbour after a sighting of one last week at the racecourse. 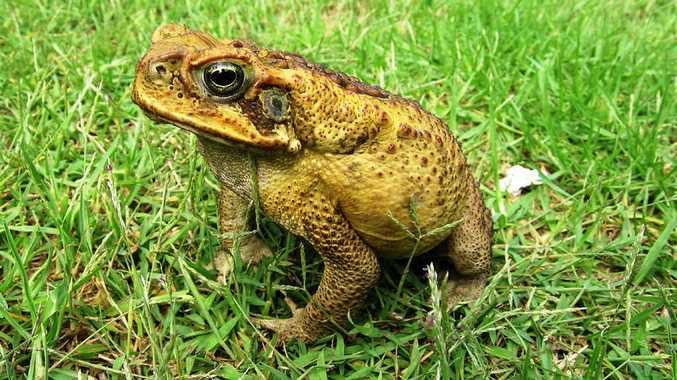 RESIDENTS on the Coffs Coast have been advised to look out for cane toads following a recent sighting at the Coffs Harbour racecourse. National Parks and Wildlife Service Pest Management Officer Brad Nesbitt said it is not known how the cane toad got to the racecourse but they are known to hitch rides under vehicles and in building and landscaping supplies that come in from cane toad infested areas in Queensland and northern NSW. "Although cane toads are occasionally found on the Coffs Coast, there are no breeding populations here and it is important that we keep it that way," Mr Nesbitt said. "There was also a report earlier in the year of a cane toad sighting near the shopping centre in Toormina so it is a timely reminder for us all to be vigilant during the remainder of this summer period. "With the exception of an isolated breeding colony in Sydney, the southern known distribution of cane toads is in the Brooms Head-Ashby area of the Clarence valley," said Mr Nesbitt. Cane toads can also be accidentally spread in mulch, soil, pot plants, building material, camping equipment, fruit packages and boxes of agricultural produce. Cane toads pose a major threat to both native animals and domestic pets. Their dry warty skin is loaded with toxic compounds; particularly in the large glands located behind their eyes / ear drum. Domestic pets are also at risk with dogs known to die within 15 minutes of eating a cane toad. A check list is provided below by contacting NPWS on 66520900.